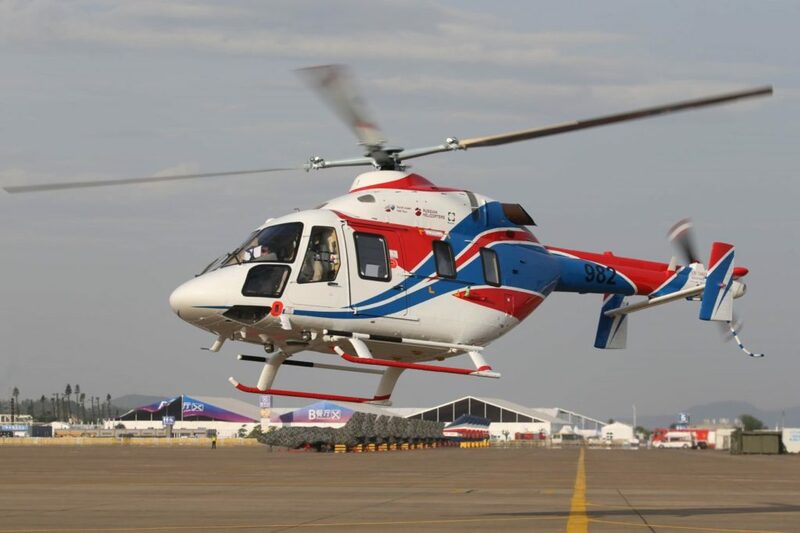 The Russian Helicopters Holding Company (part of Rostec State Corporation) signed a contract for the delivery of 20 Ansat helicopters to the China Association for Disaster and Emergency Rescue Medicine (CADERM) during Airshow China 2018. The rotorcraft will be delivered to the customer in multi-purpose configuration. The helicopters are to provide primary medical care and emergency medical evacuation of patients and can be used in difficult terrain and in remote areas with hindered transport accessibility. In addition, the medical module of the Ansat provides for resuscitation, intensive care and monitoring of the main bodily functions of an injured person during transportation to a hospital. “The fact that we sign the contract today means that Ansat helicopters fully come onto the international market,” said Russian Helicopters’ CEO Andrey Boginsky. “These helicopters have proved to be very effective during implementation of the air ambulance development program in Russia, and now they will also save lives in China. In Russia, Ansat medical helicopters are successfully used for providing air medical services. These helicopters save people in the Volgograd Region, the Kurgan Region, the Kirov Region, the Kostroma Region, the Pskov Region, the Nizhny Novgorod Region and in Tatarstan. Since 2017, as part of the federal project on ensuring timely provision of emergency medical care to citizens living in remote areas of the Russian Federation, 11 Ansat medical helicopters have been handed over to regional emergency services, and seven helicopters will be delivered before the end of the year. In September 2018 Russian Helicopters, the National Air Ambulance Service (NSSA) and Avia Capital Services LLC signed a contract for supplying 104 medically-equipped helicopters of this type. Ansat is a light multipurpose twin-engine helicopter. Its serial production is deployed at Kazan Helicopter Plant. According to the helicopter certificate, its design allows converting it into a cargo version or into a passenger rotorcraft that can lift up to seven people. In May 2015, the modification of the helicopter with a medical module was certified. Ansat is certified for use in the temperatures ranging between -45 С and 50 С. High-altitude tests of Ansat have been successfully completed, which confirmed the possibility of its use in mountainous terrain at altitudes up to 3,500 meters. In August 2018 the Federal Air Transport Agency (Rosaviatsia) gave Kazan Helicopter Plant an approval for the main change in increasing the capacity of several assemblies and systems of Ansat based on the results of certification, which makes the helicopter more attractive for operators and potential customers.